It may be getting colder out there but you know what, I have an addiction to eating cold things when there’s a frost in the air as it means that there’s even more excuse to snuggle up under blankets whilst scoffing down the treats. 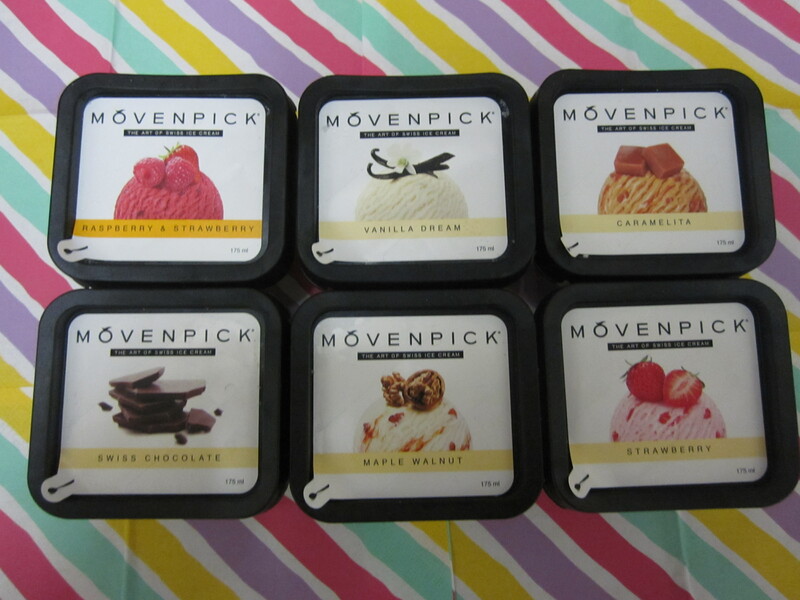 Movenpick Ice Cream have kindly sent me a selection of their delicious ice creams to sample. What a delicious selection of flavours to try too! 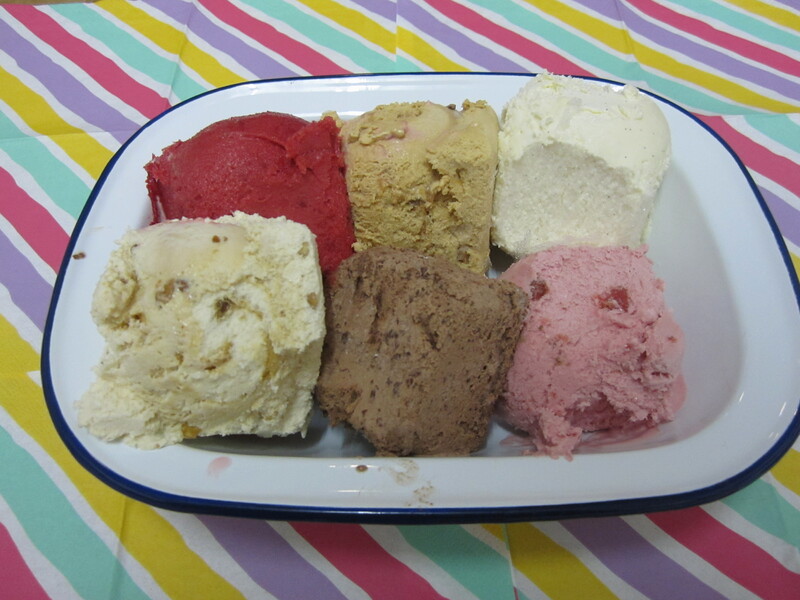 Raspberry & Strawberry sorbet, Vanilla Dream, Caramelita, Swizz Chocolate, Maple and Walnut and Strawberry. 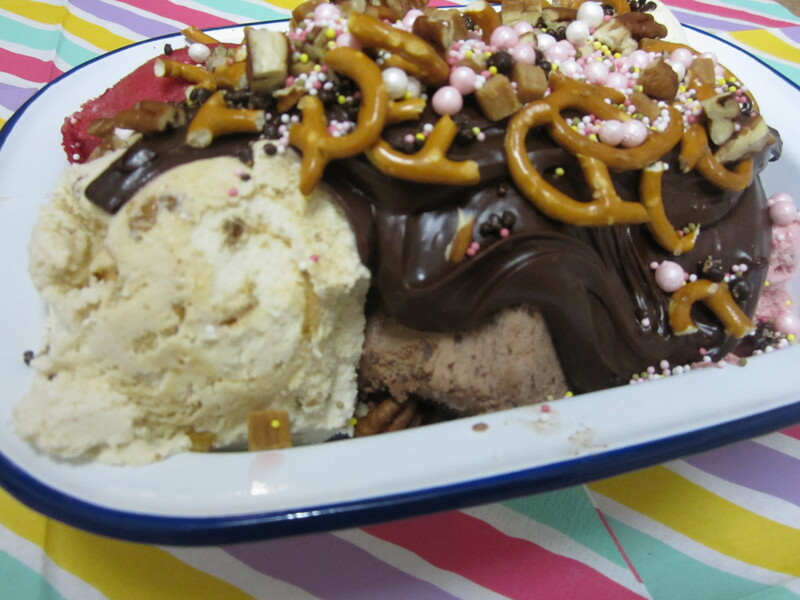 Now don’t get me wrong that these ice creams don’t need anything else to make them shine but you can’t deny there is something special about an ice cream sundae. Especially when there are delicious extras such as salty pretzels, toffee popcorn, toasted pecans and slathered in a hot chocolate fudge sauce. 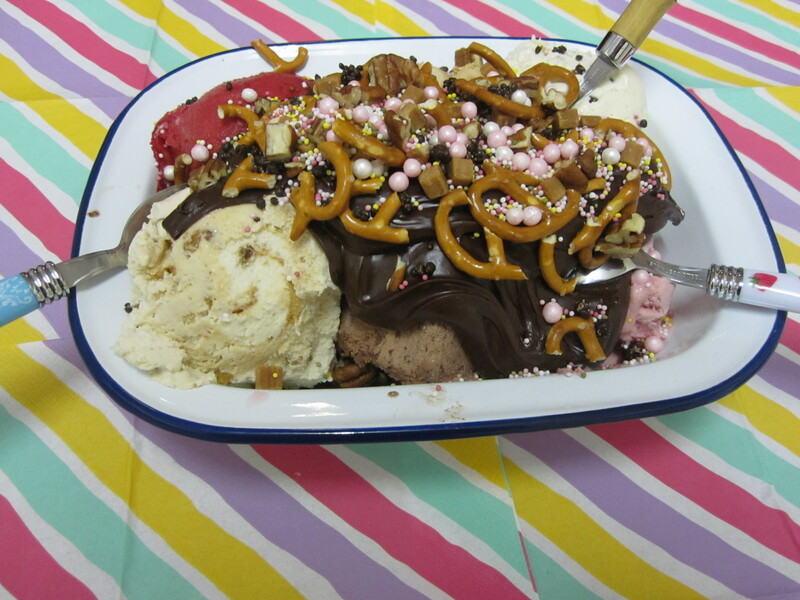 Pass the spoons and get stuck in. 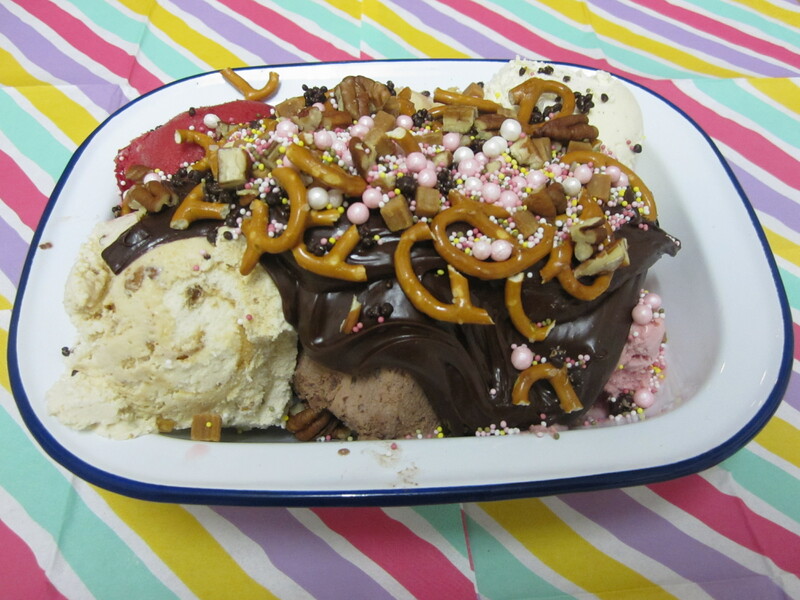 The beauty of a sundae is you can go wild with the toppings! I raided the baking cupboard, so we ended up with chocolate covered popping candy, fudge pieces, hundreds and thousands, toffee popcorn, toasted pecans, biscuit spread. 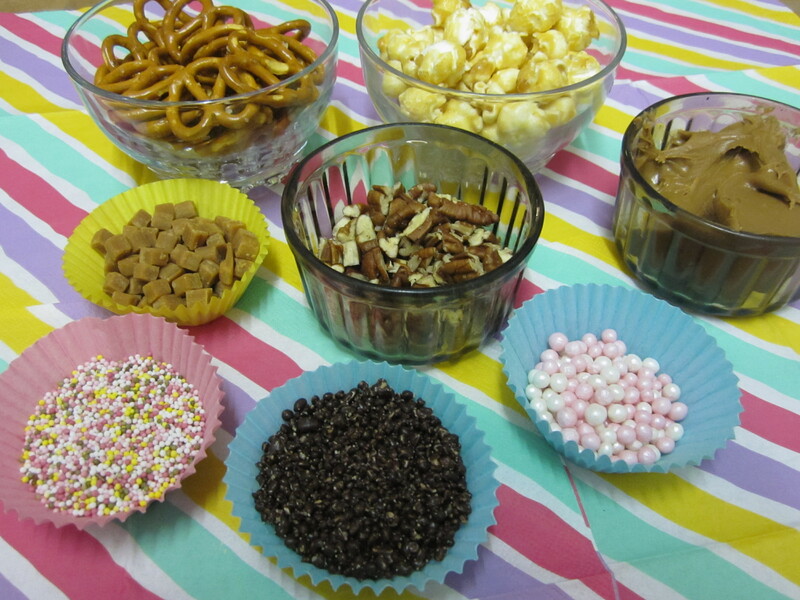 nutella, sprinkles and salty pretzels. The saltiness from the pretzels and crunch helps balance the sweetness, I even sprinkled over some smoked sea salt flakes over as well. Find a trough and load up the ice creams, I went for the six flavours they sent me to try. When in Rome…. I went with a hot chocolate fudge sauce to slather all over the top. I made it with equal parts of dark chocolate and condensed milk, melted gently together. Load up the toppings and get stuck in. 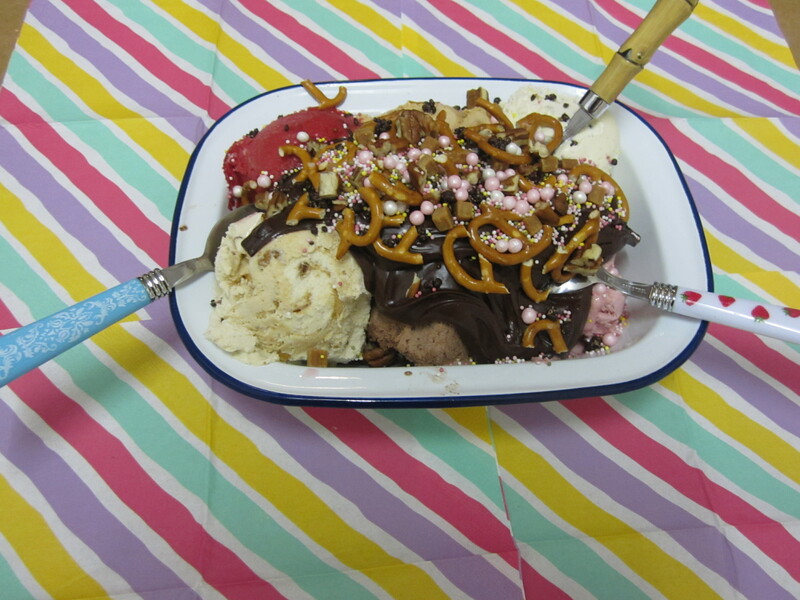 It did fed three greedy girls while curled up under blankets and to compliment the sweetness levels of the sundae we had to watch Disney films of course. I loved the Maple & Pecan and the Raspberry & Strawberry Sorbet were just so fresh. All the flavours were really fresh and clean. Think this will become an all year round favourite for girl film nights. Thank you to Movenpick for sending my ice cream goodies and let me know what you would have as a topping for your sundaes!